Did you know that storytelling predates language? We’ve been telling stories since before we even had a cohesive language, which is a testament to how powerful stories really are. Let’s get this started by debunking a common misconception right here, right now: brand storytelling is more than what we put on our website or on our social accounts. It’s not a blog post, an article, a presentation or a logo. It’s something that needs to permeate every aspect of our business. It’s about connecting our values and our origin story to the business while allowing our audience to form a deep connection with the brand. Over the years, brand storytelling has had its doubters, but today nobody can deny the competitive advantage it can bring to any business. The truth is, storytelling is oftentimes the reason behind a purchase decision. The old saying “facts tell, stories sell” has become even more true today, when our attention span is worse than that of a goldfish. Think of storytelling as the reason your employees or team members work for you and not anybody else, and the reason your audience chooses to spend time on your business instead of someone else’s. A fantastic example of the power of storytelling comes from a middle school art teacher named Bre Pettis. In 2009, he started MakerBot – a 3-D printer company that helped people print 3-D objects that can be designed on any computer. Unfortunately, Bre was having trouble convincing clients and investors that he could sell this, so he decided to implement storytelling in his business strategy. Instead of taking the logical route, Bre talked to investors about the impact his project could have and how professionals in the healthcare industry could save money by printing their own supplies with the tool. There was even a student who used the printer to make a prosthetic hand for himself. Five years after this, Bre sold the business for $604 million. 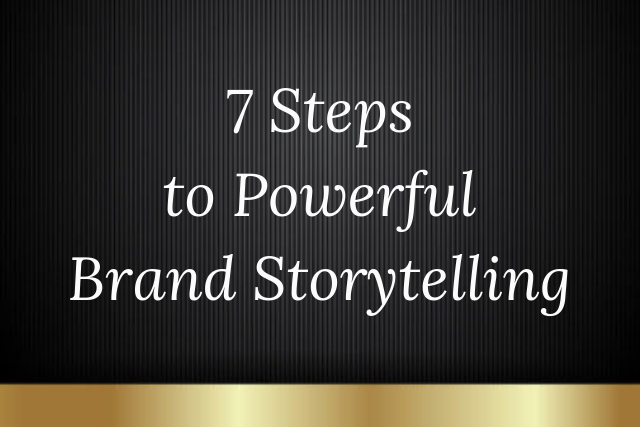 When it comes to brand storytelling, there are 7 things to remember that will help you build and scale your business. When a person is hearing or telling a story, a massive amount of their brain is activated – including the system responsible for the encoding of different types of memories. That’s the region of the brain where language is created. Therefore – stories and narratives engage almost our entire brain! Think about it – most of what we do, we do it in stories. We dream in stories,, remember in stories, watch stories, read stories – they have a consistent presence in our lives. Ever wondered about why we like fiction so much? Researchers argues that it prepares us for unexpected things that happen in our own lives because when we’ve already reflected upon them in a fictional world, we’ve lived through them! A story can give meaning to any event and it’s not a secret that stories and narratives even help shape our identities. You don’t have to tell the same story in the exact same way all the time – you need to tell different stories that, when connected, make up the ultimate story. When using stories in your business, you need to understand what psychological state your ideal clients are in. When you know that, you’ll be able to influence their behavior – which is, essentially, how sales happen. Your origin story is the foundation of your brand strategy – which, in turn, is the foundation of your business. The origin story puts a face to your business, gives it personality which allows consumers to form an emotional connection to the brand. It’s a powerful way to create a deep bond between consumers and your brand, which is the first step to building a loyal community or a lifestyle brand. Your origin story is not just the story of how your business came to life, even though that’s what most branding professionals will try to convince you of. In fact, it goes much deeper than that. Each person – or business’ – origin story has between 3 and 5 angles to choose from. When my team and I work with clients, it’s our responsibility to spend an hour diving into their story and then choosing the right angle to write it from – this is the angle that the ideal client will relate the most to. Sharing your story is not about sharing everything – it’s about sharing some of your truth. In other words, it needs to be done strategically to ensure you’re reaching your business goals. This is something I’ve named strategic vulnerability. If you choose to not share your story with your audience, you’ll miss out on important opportunities to grow and scale your business that are otherwise either unattainable, or very hard to accomplish. 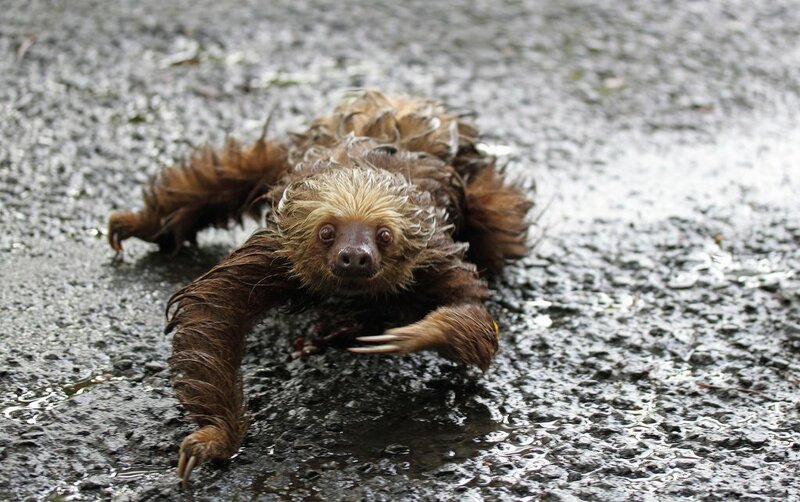 Try to always think of ways to make your story more interesting – I, for instance, have a sloth – which has become my main brand prop. People have fallen so in love with him that even when I don’t show him for months, they still ask about him. Unfortunately, he hates everyone. The smartest brands out there understand a very essential aspect of storytelling – a story comes first and products come second. The Walt Disney Company, for example, is the epitome or successful brand storytelling. 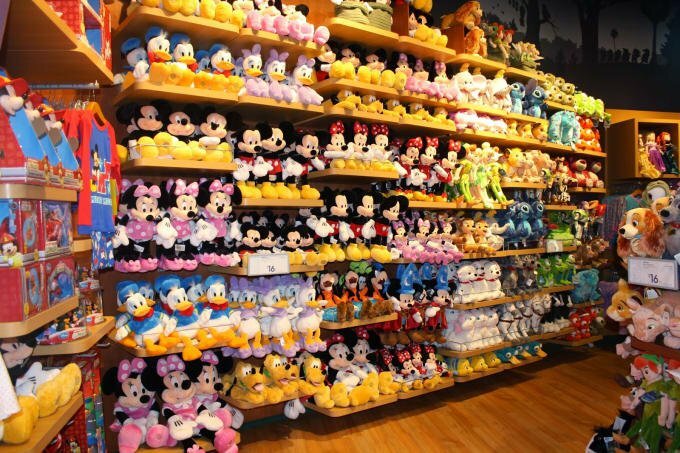 Disney has multiple franchise groups – from Marvel to Hannah Montana, and each of those has created a massive movement where Disney sells not just movies and tv shows, but merchandise. The company has crafted a strategy that works and they implement it for every single product – they build a compelling story and then create a product around that story. This is the key to everything: when you have a compelling story, products and services are begging to made around it. Have you ever heard of Alexis Ren? Alexis became famous from her very public relationship with somebody called Jay Alvarrez. They were the most famous teenage couple for a few years and both became Instagram famous because of their openness and high-quality photos from luxurious places around the world. Alexis lives an extremely healthy lifestyle and she has millions of girls who follow her for inspiration because they love her story. They’ve been with her through everything – from her becoming famous to the big break up with her boyfriend to her launching her first clothing line of exercise clothes. Which, by the way, was a brilliant move. She is now becoming a household name, and it’s all because of her story. Her followers were literally begging her to create her own products that they can buy, which is a testament to the enormous brand loyalty her story has fostered. A great, actionable way to reverse-engineer products from your story is to create a survey – I execute one every quarter to see how my current business positioning is. If you have a certain product in mind and you want to validate the idea, for instance, you can indirectly ask questions that subconsciously persuade people this is a great idea for a product – or you can just ask them. Arguably the most underestimated aspect of storytelling is catching the attention before you’ve even started to tell a story. This means getting your audience into an “I need to hear this” state of mind. One way to do this is with a teaser sentence to peak their interest and curiosity. This doesn’t mean starting your story in a bland way, saying something like “guess what happened to me today?”. It has to be a lot more anticipation-building than that. If I were to tell a story of how I had to spend one night in jail when I was 16, for instance, I’d start with “Let me tell you how I spent a night in jail!”. Never happened, by the way. My sloth would love that, though. One of the simplest ways to increase your sales with the power of storytelling is to use the old car salesman tactic called “assuming the sale”. Even though you haven’t closed the deal yet, when you have potential customers who contacted you because of your story, always ask questions that assume the deal is closed. A car salesman would ask “what kind of interior would you like?”. “See, there’s this problem most business owners face – they have a powerful purpose, they want to change lives and make money doing it, but they don’t know how to get noticed. This is where my team comes in.” Here, I’d tell a client’s story and how we helped them, because I know there’s always a high emotional intensity when we process stories that doesn’t exist when we’re just hearing ideas or concepts. The key to making your stories work for your business is to be as persuasive as possible without coming off as desperate. There’s a fine line there and it has to do with some very simple tactics you can implement in your storytelling today. If you’re filming a video, for instance, make sure you’re using your full vocal range and keep changing the speed and intonation of your voice – this keeps viewers engaged longer. Another way to ensure they linger is to use preambles – they are a way to build anticipation for what’s coming and they’re typically used midway through the story. Some of them could be “True story!”, “You won’t believe what happened next!”. One of the best ways to close a sale with a story is to validate the person’s objections while you’re telling it. For example, you can say “If I were you, I’d probably be worried about …”, after which you tackle the objection and make it irrelevant. This tactic also enables the person to become more open and receptive towards anything you tell them. One thing I love doing is providing my audience with stellar templates for all the strategies I teach – which is why I’m about to share 3 examples of stories you can tell with your social media presence. All three of these will enable you to raise your engagement, expand your audience and increase your sales. The first one is called the Anticipation story. This is where you build anticipation by writing/saying at least 10 sentences before you reveal what the real post is about. The goal is to keep the viewers hooked, so that when they get to the point of the story, no matter what it is, they perceive it as powerful. The second one is the Controversial story. Let’s break a common myth here – being controversial is not a strategy, it’s actually who we are as humans. If you think about it, you are controversial when you speak to your friends and family, because you’re not afraid to share your real opinions. So, what happens when we take it online? We hide behind the notion that if we do the same there, our audience will be turned off. That’s true – but you have to risk offending the wrong people in order to reach the right ones, which will become your business’ loyal followers. This is where the Controversial story comes into play – its structure is simple. You begin your social media post by making a bold statement to attract attention and then explain the point you’re making. What works very well is taking a myth or a misconception from your industry and debunking it, like I just did. The third and probably most powerful story type is the Testimonial story. This is where you position yourself as an expert by sharing a case study or a testimonial from a client and dive deeper into how you helped them, in the form of a story. It helps if you’re able to tag them in the post or have them share their experience with your business in the comment section. There are a lot of fake testimonials swimming the Internet waters these days and people have become highly sceptical. The last essential way to grow your business through storytelling is to ensure you know how to repurpose your content properly, which is something most business owners fail at. The reason behind this? We’re a collectivist society and we tend to do what we see others doing. At one point, copy-pasting your content to multiple platforms became the norm, which is very unfortunate. When you do this, you make your audience feel like they’re not special and you give them a reason to unfollow you on at least one platform, if not all of them. They want to see different aspects of you and your business on each platform – different stories. The best way to repurpose content is to have a content centerpiece – one platform where your content begins. For me, that’s Facebook. Now you know this is where you’ll be taking your content from when you repurpose it. Then, use my simple 1-2-3 strategy to create 3 extra posts from it. For example, if you published a post called: “7 ways to grow your business with the power of storytelling” on your Facebook business page, you can turn it into “Here’s the one thing you need to know about brand storytelling” and publish it in your Facebook group. Then, you can go through the comments your audience left, and turn the post into a live video, named “I talked to my audience about brand storytelling – here’s what happened!”. You can even repurpose it on another platform and name it “The 3 worst mistakes business owners make with brand storytelling”. Now you have 3 separate posts that all stemmed from the centerpiece – the post you published on your Facebook page. *And playing with my sloth. Great article – incisive and informative as always. What I like about your approach is the depth of your explanation as to why these methods work, rather than just advocating that they work. Appreciate that, Annabelle, thank you! Thank you for sharing this Des, we still need to do an interview for the mastermind soon. Good reminder, shoot me a message and thank you for reading!